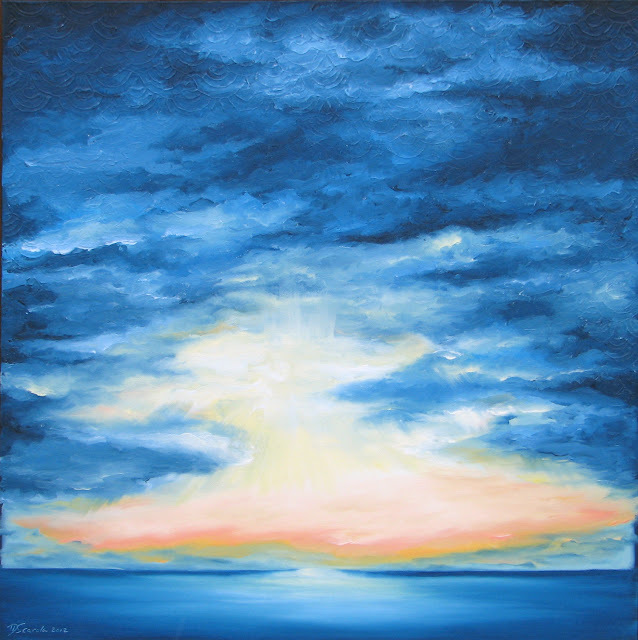 Last Light, 2012. Oil and gesso on canvas. Artwork and Photo © Daina Deblette Scarola. After a long, damp, slushy, wet winter, it's such a treat to see the outdoors coated in sparkly white, fluffy fresh snow. It makes working inside feel cozy, just like the winter months should feel. Last Light, 2012. 24" x 24" Oil and gesso on canvas. 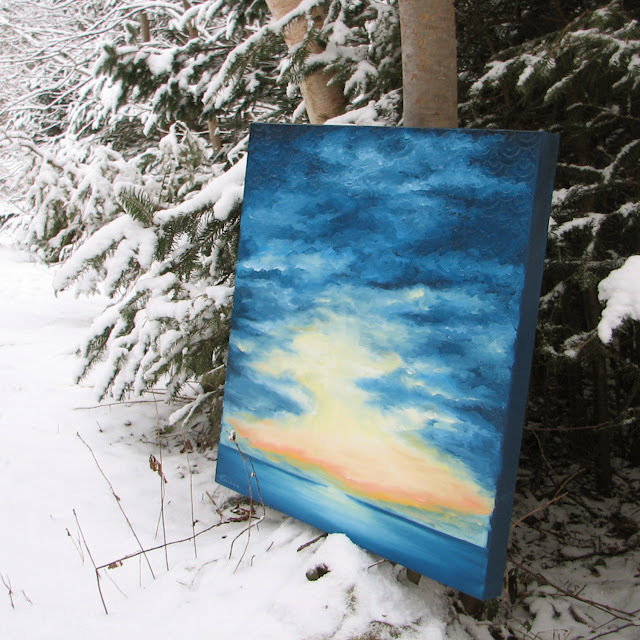 Artwork and Photo © Daina Deblette Scarola. Another reason why I love this wintery-white weather is because it sets me in the mood to paint to my heart's content. 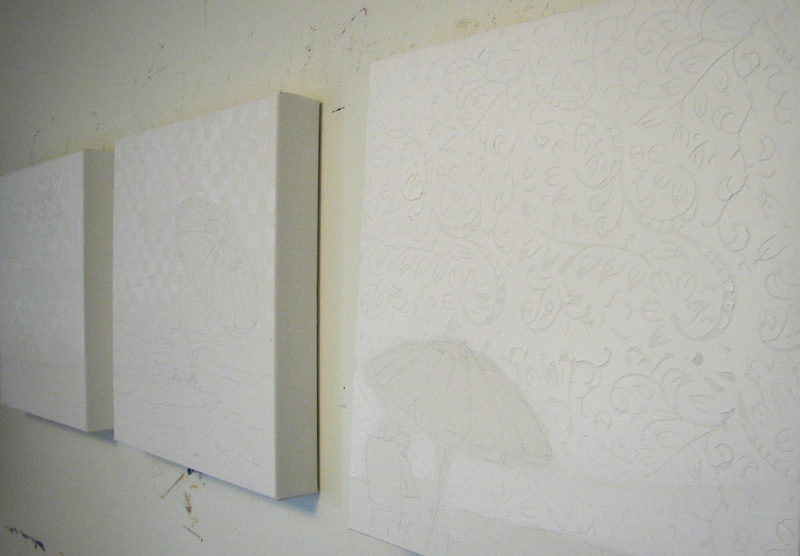 My goal is to paint 1 painting each day until the 18th, and then make lots of encaustic collages. I think I do my best work under pressure, so I am totally in my element and feeling rejuvenated, looking forward to participating in the biggest artisan show in north America. 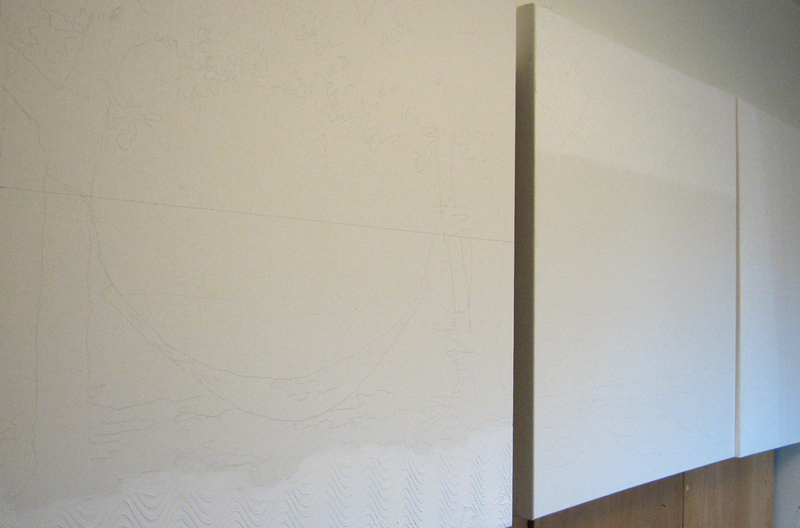 Prepped canvases, ready to be painted. 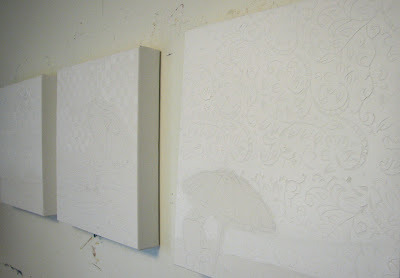 Sketched canvases, textured with gesso using antique wood textile print blocks. 2012. 10" x 48" oil on canvas. Artwork and Photo © Daina Deblette Scarola. As soon as I find out more about the show, I'll post it here, as well as my progress preparing for it over the next few weeks.